Suja, 18 September 2018: The Department of Education, Central Tibetan Administration Dharamsala is organising 5-day Workshop for Science and Math Teachers from 17 – 21 September, 2018. 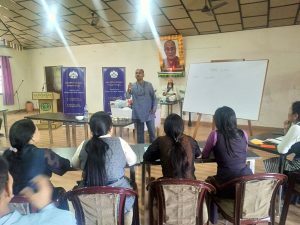 The workshop is currently underway at Tibetan Children’s Village School, Suja which is being conducted by Mr. Sharat Gupta and Mrs. Sandhya Gupta from Aavishkaar: Centre for Science and Math Excellence and coordinated by Mr. Tenzin Kalsang, Education Officer for Science, DoE. A total of 19 science and math teachers from TCV School Suja, Chauntra and STS Chauntra are participating in the workshop. Mr. Tenzin Dorjee, Head of Modern & Traditional Academic Section in his opening remarks spoke about the objectives and focus of the workshop. He said, “The workshop aims to improve the quality of science and math instruction and strengthen the STEM education in schools. The workshop will focus on understanding concepts in science and math, incorporating collaborative & hands-on learning, scientific inquiry and creative/critical thinking skills in classroom.” Mr. Karma Sherap Tharchin, Principal of TCV School Suja and Aavishkaar team members were also present during the opening program. The opening program ended with thank you speech by Mr. Tenzin Kalsang. 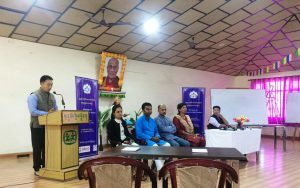 A similar 5-day workshop will be organised in Dharamsala from 24 – 28 September, 2018 for science and math teachers from schools in and around Dharamsala. The workshop is funded by USAID through The Tibet Fund and SARD.